Are you looking for clip on earrings which look-like pierced earrings? What about cotton pearl invisible clip on earrings? 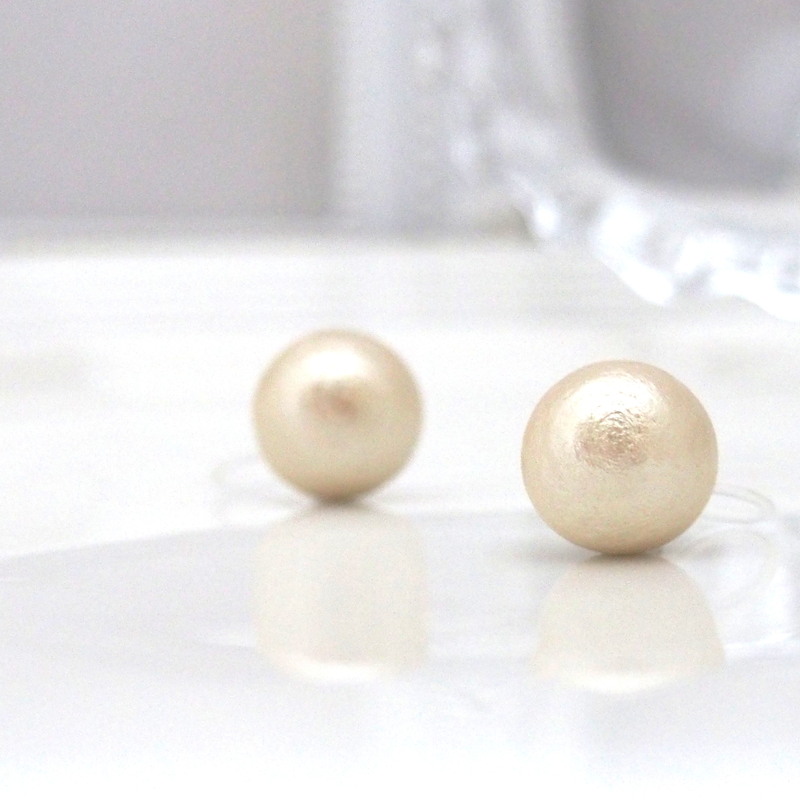 For your wedding or your friend’s wedding, are you looking for simple and lustrous pearl clip on earrings? On your special event day, such as wedding and birthday parties, you want to have a perfect look, don’t you? And of course, you want to have something look like pierced earrings, don’t you? I personally like look like pierced earrings but it is hard to find these earrings for pearls. But today, I would like to introduce invisible clip on earrings. What are the invisible clip on earrings? Invisible clip on earrings are earrings, which made from resin and earring findings are clear. So it is hard to recognize these are clip on earrings. Moreover, earrings are soft and fit your ears naturally. So the most attractive point is these will not hurt your earlobes! When I wear metal clip on earrings, I am suffering from the pain of earring screw pressure. Sometimes it gives me headache. But invisible clip on earrings are so comfortable to wear! You can wear for long hours. So you will be smiley all the time. These cotton pearls are classy and vintage like. Recently cotton pearls are popular in Japan. I mainly create cotton pearl jewelries, so wide variety of colors and sizes are available. For example, I provide white, light beige, pink and light orange color pearl earrings. The sizes are 8 mm, 10 mm, 12 mm are available and I recommend 8 mm earrings. These are so pretty on your earlobes. If you flip them over, you can wear as silver or gold stud invisible clip on earrings. You can wear not only for elegant occasions, but also for daily wear. What valuable clip on earrings! These are available at MiaybiGrace on Etsy. When you click the pictures or item titles, the MiyabiGrace shop opens. < Previous Trendy and Valuable double cotton pearl earring set! You can wear these for 4 patterns! Next > Cannot decide which necklace you will bring for travel? What about cotton pearl necklace?